When it comes to crowdfunding we all have some problems as starters and newcomers. We all know that crowdfunding can be useful but making it happen is sometime really hard and we should get some help to manage this. In order to get professional help you can use tools ready made for startups and Celery is one of the best you can find on the net. Today we will take a closer look at Celery to see what it has for us. 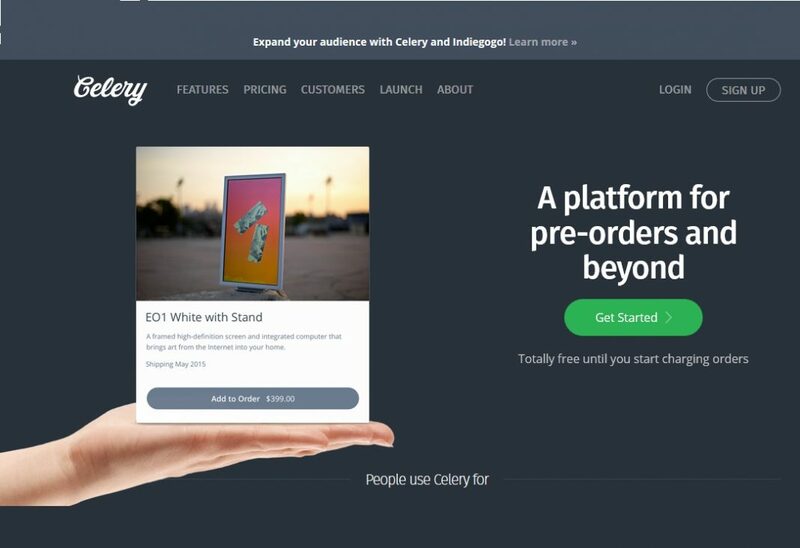 Celery is a tool made for Kickstarter companies and it has some easy to use approach that anyone with any knowledge can use it with ease. This is something we all may need if we want to start a startup business. It focuses on Pre order and crowdfunding which is designed for startups. It can get the product info and work on crowdfunding platform to make the funding easy for people in this category of business. They analyze all the steps involved in the business process and capture demand for their customers to get proper checkout system for them. They have checkout system that can help people work with their crowdfunding. Their checkout system has a high conversion that allows people to collect shipping and other type of information they may need in future. Customers can even customize checkout if they want to, this means that checkout process will be match with brand to make the specific details any company may need. Design can fully customized by different approaches. This will further improve the look based on brand and this will make a specific feeling for each user. On the other hand you can access Celery on both desktop and mobile platforms and this will give you access while you maintain your mobility all the time. So you may think that Celery‌ is all about checkout but boldest one in there is that and other facilities are there in the system as well. It has all E-comers needs in one package and from preorder to managing your order process is there inside this tool. When it comes for pricing, only 2 percent of each order managed by Celery will be charged for user and this price seems fair compare to the things this amazing tool can provide for you. This tool has all you need and we suggest you to try it. If you have anything to add to our words then please leave a comment down below.